Fassinating Fassbender - A Michael Fassbender Fan Blog: The Late Show video of Michael Fassbender's appearance! 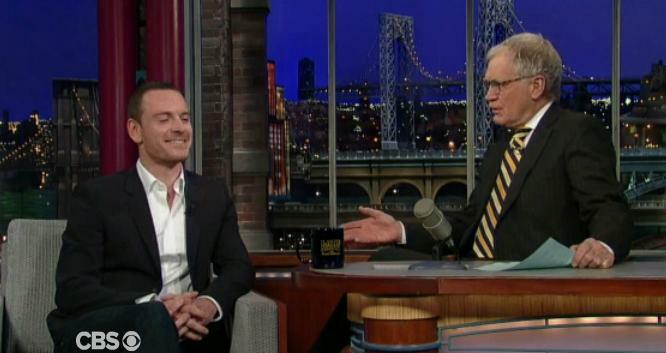 The Late Show video of Michael Fassbender's appearance! If you're like me and did not watch The Late Show last night, here is the complete program video of the January 18th show. As some have noted, the The Late Show is very different from the Charlie Rose show - you'll note it by the type of questions asked and Michael's comfort level. It's good to have seen him on both shows at this point in his career. Some fans seem to be having difficulty grasping Michael's sudden appearance everywhere... it's called PUBLICITY for a major film that can give him an OSCAR nomination. Get used to it. This short clip has Michael talking about Viggo. Michael Fassbender has the nicest thighs, don'cha think? Yeah, those jeans fit him like a GLOVE. Yeah. Just wanted to say that this publicity is not connected with getting him possible Oscar nomination, because those are already decided. The last day for returning ballots was Friday, January 13th. So nothing that happened after that date (GG, BAFTA noms, this week publicity) has any impact on Oscar noms. So this explosion of publicity is ever connected with Shame expansion to more theatres or they are already working on his possoble win just in case he got nominated. Thanks Barbara, I was just going to post the same thing. I think they're confident of a nomination possibility for him, plus it's never too early to begin the process of making him a household name if he's going to be shouldering a massive blockbuster (Prometheus) this summer. Right now, the average person doesn't know who Michael is, but that will quickly change. We all saw that Fox exec's comment about Michael being a triple threat (star power/talent/personality) and they're going to do everything in their power to make him a major player in the business. His days of art house obscurity are forever gone, IMHO. Yeap, I am very well aware that this publicity has no impact on the Oscar NOMINATION, that's all said and done. So all of this is planting a seed in the mind of the actual voting process. Some AMPAS member's minds are already made up, but have been subject to change in the week of nomination anticipation based on the pr machine for possible nominees. All this publicity now, is to help influence actual votes later. I'm sure all of our comments now will help others better understand the reasoning behind the influx of publicity for Michael and Shame. I am hopeful that my theater just mere minutes from me, will finally screen Shame starting this weekend. It's ridiculous that this particular theater is so late on the roll-out roster, esp considering it being the most liberal town in Michigan. It's kind of weird that some fans don't know the purpose behind promo. It appears many fans don't know a lot of stuff regarding promotions and deliberately timed publicity. I agree with you all above. Especially with Anon 7:46. Fox searchlight must have recognized a good possibility of his Oscar nomination. Moreover, their parent company is distributing Prometheus this summer and this could be a kind of early step of its promotion. I read THR article about Michael thoroughly and with all the comment of the industry people around him, I could also see that his days of art house obscurity are really, really forever gone. His anonymity in the US is going to become an old memory sooner than we think. p.s Does anybody know whether we have any live coverage of LLFC awards tonight? London Film Critics Circle Awards are starting in a few hours. I wonder if Michael left for the airport directly after taping Letterman? Although Michael's profile will continue to rise, he will do what he does to remain grounded and keep working on smaller projects because they appeal to him. He doesn't do the Hollywood shuffle stuff that so many celebrities do to keep themselves in the tabloid. He values his privacy and will continue to act accordingly. The London Film Critics Circle Awards are starting in 2 hours. Follow @GuyLodge on twitter for live tweets of the event. spYeah i saw the interview. Michael was great of course. The crowd was so flat. I think someone remarked that Michael on the Late Show with Craig Ferguson would be more enjoyable. Now that guy is funny and so much more loose. 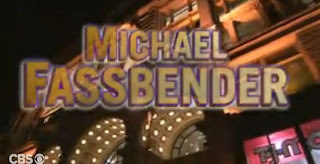 I personally want to see Michael Fassy on Conan. i think that's going to be awesome. WoO! I saw Letterman yesterday, I like him well enough but he was out of touch. Michael was cute and funny as always. I noticed that more creeps and opportunist are starting to come out now that more people are exposed to the Fassy greatness. Michael has been spotted at the London Area Film Critics Circle Awards according to GuyLodge on Twitter. Thanks for deleting that BS, Simone. I can't believe a "fan" thought it would be a good idea to give hits to a GOSSIP RAG site. Regulars and lurkers damn well know that certain topics, are OFF Topic here. Well, Dujardin won Best Actor at LFCC, but at least Michael got Best British Actor. LFCC often aligns with BAFTA, so I don't expect Michael to win there; it will likely be between Dujardin and Clooney. Fassy is just raking up some awards, now ain't he? Darn tootin. Bless ya! @ Iris, he counts as British since that's where he lives at the moment. Everyone claims Fassy. The Irish, Germans, The Brits, heck if he stays in America long enough we'll start to claim him too! All this publicity in mainstream media outlets does feel a little foreign to me. It feels so different than it did even after the opening of "X-Men: First Class" in June last year. Michael is no longer "ours". He belongs to the world. God bless him.